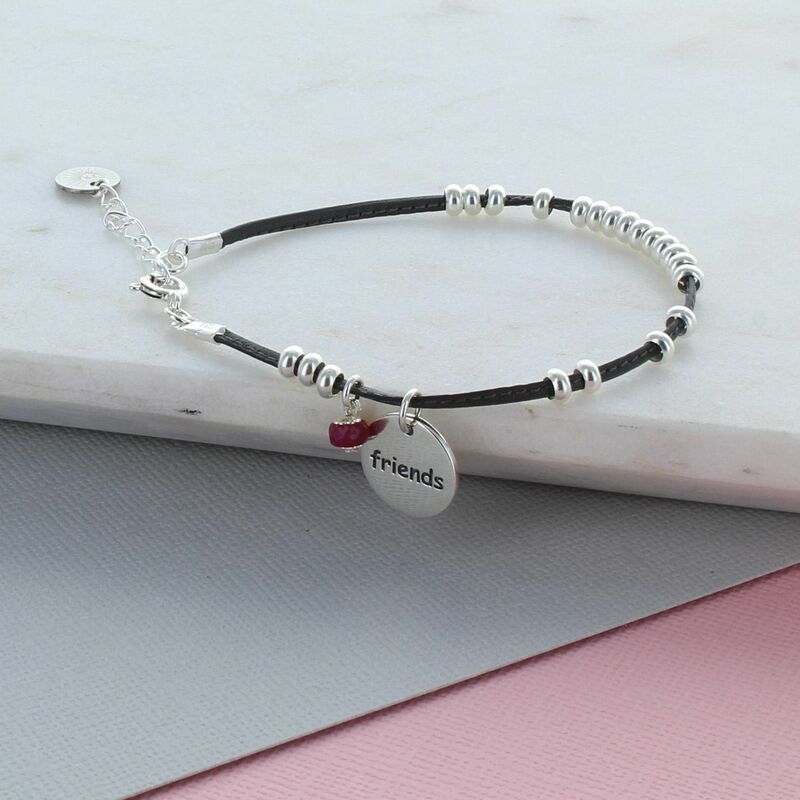 An inspirational sterling silver and leather bracelet with the word "Love" on a silver charm along with a Ruby stone symbolising love and friendship. The love sterling silver and leather charm bracelet is the perfect gift for any friend or loved one. The bracelet is made of fine soft charcoal stitched leather with sterling silver beads and charm. A single precious Ruby sits net to the charm and is believed to open the heart and promote love. Given as a gift the Ruby is a symbol of friendship and love. The Ruby is also the July birthstone. 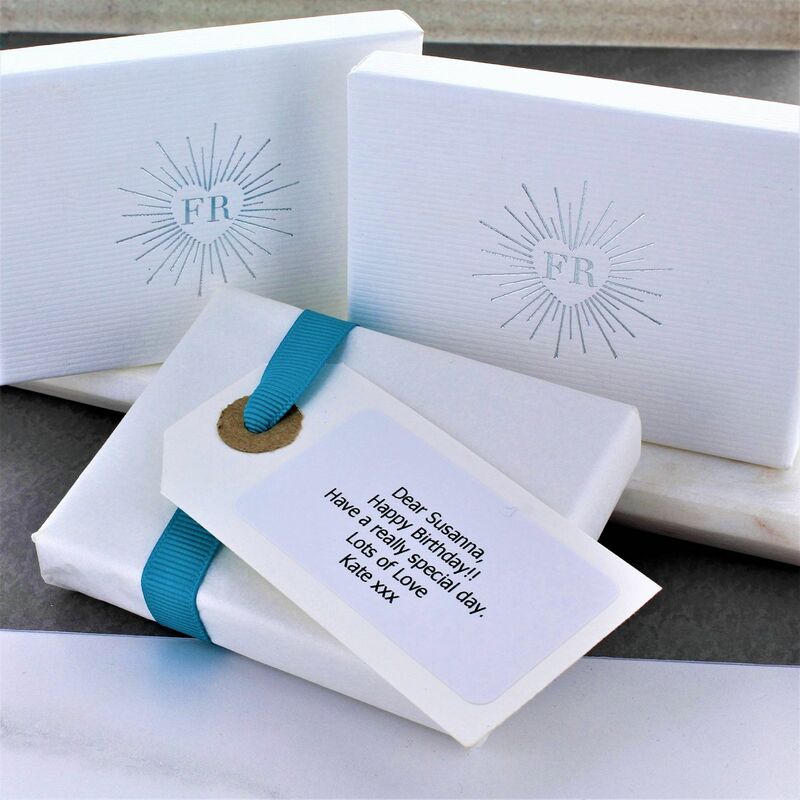 The bracelet arrives in a beautiful gift box with a free gift wrapping service available upon request.